Oh Kool Aid. The drink of youth. Sugary and colorful and perfect for summer. Unfortunately, it’s also perfect for creating sugary, colorful carpet stains. With adults, carpets fear red wine. With children, Kool Aid is carpet’s archenemy and every parent knows how frustrating it is see that bright stain on the carpet. Whether its cherry, grape, tropical punch, or blue berry blast, you’ll feel the headache coming on. Especially if your child (or you!) has left the stain to sit and dry awhile. 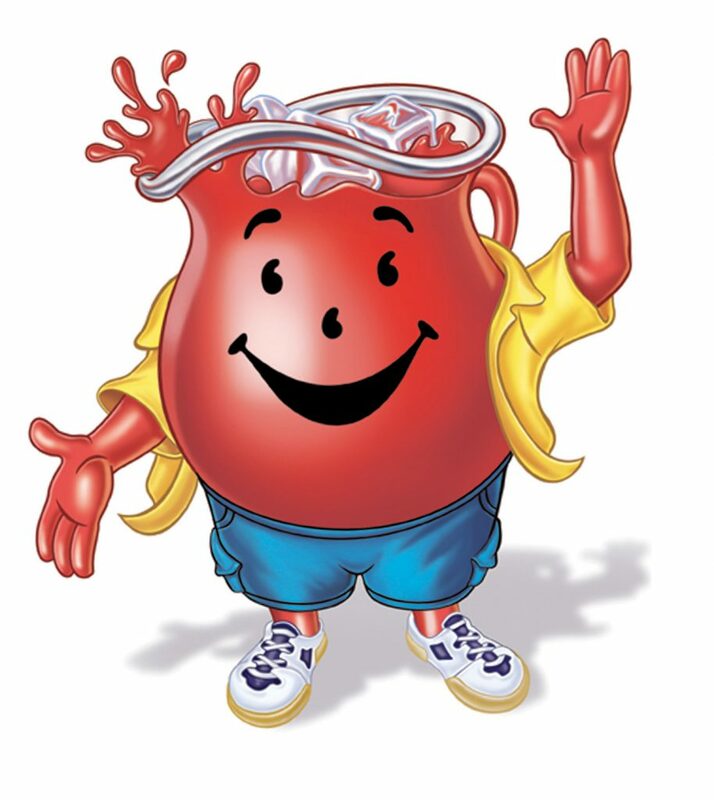 Don’t blame the Kool Aid man and don’t banish Kool Aid from the house. Stick around and learn how to clean Kool Aid from carpet. You (and your kids!) will be so glad you did. As with most cleaning conundrums, there are many different schools of thought regarding how to clean Kool Aid from carpet. So rather than present you with one option and pledge that it will always work, we’ve got several different ideas you can try. If one doesn’t work, try another. Don’t let that stubborn stain get the best of you! And before you read on, remember that the first step in removing a wet stain is always to blot. Don’t scrub down—simply pat and lift up. This will keep the stain from burrowing further into the fibers. You should also work from the outside toward the center, to prevent spreading. If the stain is dry, you can try blotting, but it probably won’t do much good. Now—let’s learn how to clean Kool Aid from carpet! If you are attempting to get dried kool aid out of carpet, begin by spraying the stain with ice water. Then, cover it with borax. Moisten a cloth with cold water and lay that on top of the borax. Using a spoon, gently press on the cloth (working from the outside in toward the middle). Blot and repeat as necessary until the cloth comes away clean. Spray with water to rinse and blot again to remove excess water and borax. Leave a towel on top afterward, pressed down with something heavy (like a book), for several hours. Finally, leave it to air dry and vacuum once completely dried. If the stain is wet, pour a large amount of table salt over the stain. Allow it to sit and soak up the stain. Vacuum up the salt. If the stain is still there, repeat as necessary until it’s completely removed. Wet a cloth with water and lay it on top of the stain. Using a warm iron (it should be on its lowest setting), iron the cloth. Leave the iron sitting on the stain for about 15 minutes. Don’t press down on it and don’t turn up the heat at all. Remove iron and cloth. If the stain remains, repeat as necessary. This method takes some patience but it is very effective. Once the stain is gone, blot the area and allow to dry. Combine 1/4 cup of white vinegar and 1 tablespoon of dish soap in a spray bottle and fill the rest with water. Spray the stain well and allow it to soak for 5-10 minutes. Blot with a towel or cloth until the stain is removed. Repeat as necessary. Blot to dry.